Did Jesus tell us that at the Bema judgment Minister, Evangelists, and etc. would face a higher standard of judgment than other Christians? I have been unable to gain a consensus on whether Jesus was referring to Ministers etc in Luke 12:47 as David Guzik asserts or if both verses 47 & 48 refer to the amount of knowledge of one has of God's word as John Gill and several others assert? 47 And that servant, which knew his lord's will, and prepared not himself, neither did according to his will, shall be beaten with many stripes. 48 But he that knew not, and did commit things worthy of stripes, shall be beaten with few stripes. For unto whomsoever much is given, of him shall be much required: and to whom men have committed much, of him they will ask the more. surprised many people, but not God. He knew all along. Peter said to Him, "Lord, do You speak this parable only to us, or to all people? Jesus answers Peter, saying that this is addressed to every one, that all are to be like a faithful and wise steward (manager). all how to be good, godly stewards for Him. and teach them, the same shall be called great in the kingdom of heaven. Matthew Chapter 23 which excoriates the Scribes and Pharisees says that they will be more guilty by virtue of their position in the Synagogues. However, if I read John 15:22 correctly it would seem to agree with Gill's assessment. If there are any other sources to help me understan this enigma please let me know. Then Peter said: “Lord, are you telling this illustration just to us or also to everyone?” 42 And the Lord said: “Who really is the faithful steward, the discreet one, whom his master will appoint over his body of attendants to keep giving them their measure of food supplies at the proper time? 43 Happy is that slave if his master on coming finds him doing so! 44 I tell you truthfully, he will appoint him over all his belongings. 45 But if ever that slave should say in his heart, ‘My master delays coming,’ and starts to beat the male and female servants and to eat and drink and get drunk, 46 the master of that slave will come on a day that he is not expecting him and at an hour that he does not know, and he will punish him with the greatest severity and assign him a part with the unfaithful ones. 47 Then that slave who understood the will of his master but did not get ready or do what he asked will be beaten with many strokes 48 But the one who did not understand and yet did things deserving of strokes will be beaten with few. Indeed, everyone to whom much was given, much will be demanded of him, and the one who was put in charge of much will have more than usual demanded of him. We see then from these scriptures that if we are in a leadership position spiritually, then we are responsible for taking care of tasks. If we do not do our appointed job then we are punished for it. The degree of punishment is different depending on our understanding of the task. The one understanding and not doing correctly is punished severely. This is because they have the knowledge to know they are doing wrong and do it anyway. For instance if upon seeing Jesus's miracles, a man still does not believe. The man has seen the proof and then has made an educated decision to not serve God. He is now fully accountable for his choice. So today if we know God's law and the tasks left for us, we then are obligated to follow the law and do our part in the work. All those people consider themselves as servants of Jesus Christ, so all of them will be held to higher standards than those who knew little. The verses you gave all point in that direction. There is no enigma here. "Moreover is is required in stewards that one be found faithful" (1 Cor. 4:2). Faithfulness to God's will in what one does is the main criteria, and that cannot be known until the end: "judge nothing before the time" (1 Cor. 4:5). Jesus taught in Matthew 24:45-51 that one could be faithful to the end and be rewarded, or one could change and become unfaithful and be punished. The idea of punishing those who are more knowledgeable is also stated in Matthew 11:20-24, in which the Lord rebuked several cities which saw Christ's miracles and did not repent. They would receive a greater judgment than Sodom and Gomorrah, which would have repented had they saw the same miracles. Acting on what one knows is important to ALL people, not just highly visible servants. James 1:22 warns us to be doers of the word and not just hearers only, otherwise we're deceiving ourselves, owning a security that may be shaky at best. Not the answer you're looking for? 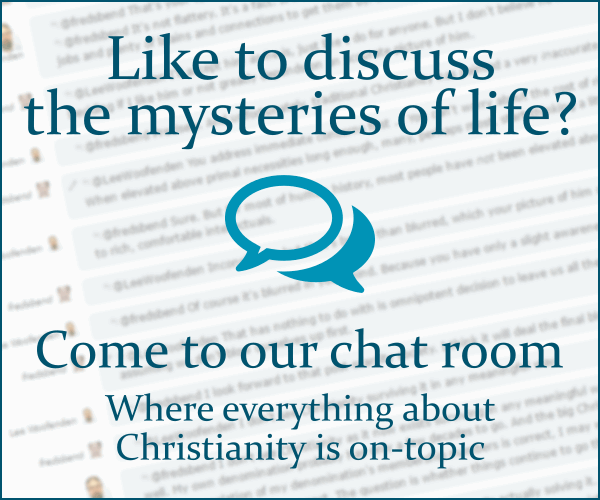 Browse other questions tagged biblical-basis exegesis or ask your own question. Who is the son in the Davidic Covenant (2 Samuel 7:14)? If there were no punishment for sin would salvation be necessary? What Scriptures are used to justify the belief that Christians of Denominations other than a specific one will be rejected by God? Did Jesus mean that heaven and earth would actually pass away in Matthew 24:25?